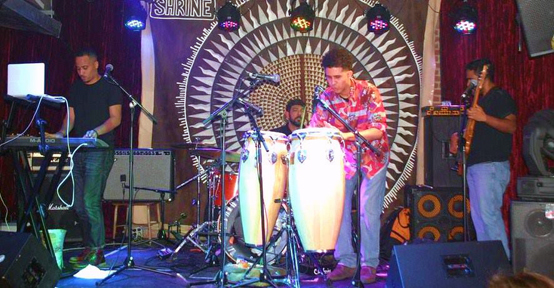 As part of this year's Bronx River Festival, the Bronx River Art Center proudly presents the Caribbean rhythms and dance grooves from our borough's own La Sovietika. This event is part of the Bronx River Festival a FREE celebration of the Bronx River from 12pm-4pm. No reservation required but get there early for good seating. Since the event is outside, rain dates will be announced 12 hrs before the performances at our website www.bronxriverart.org. BRAC's unique performing arts events of contemporary and traditional music and dance has been a crowd pleaser with it artistic accessibility and family friendly brand of cutting-edge art. La Sovietika is a Bronx-based ensemble that plays a blend of Caribbean roots music with modern dance grooves. Their live performances are full-on, hip-shaking parties powered by a raw musical sound.